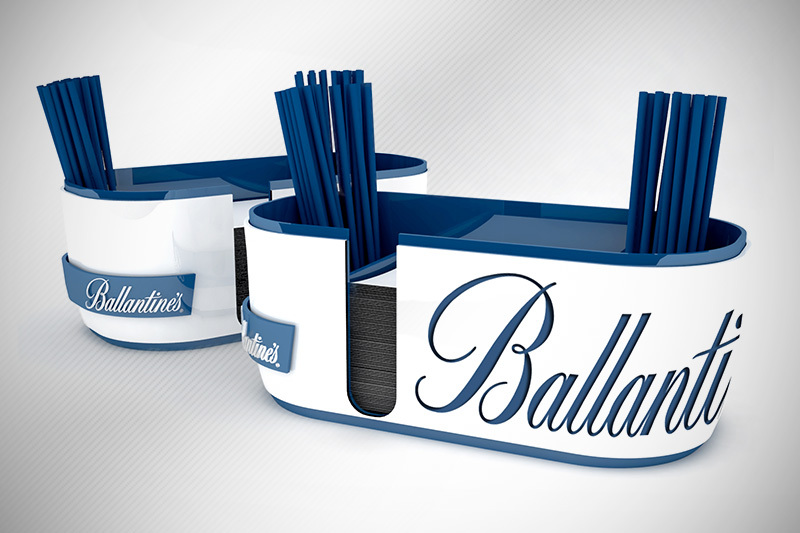 Inside the framework of cooperation with Piernod Ricard, we combined our efforts to develop unique designs, bar caddy for Ballentine’s. We made sure that the characteristics and unique shape; boasting an innovative slant, had all the features essential to the immediate recognition of Ballentine’s. The project was executed according to production documents.